Residents and visitors of Manistee County are blessed to have one of the most beautiful Great Lakes right in our backyard. Lake Michigan is a vast, fresh water lake that is a haven for swimmers, boaters, and fishermen. Along the shoreline, lighthouses add to the beauty of the sandy beaches, making for a wonderful outdoor playground. Before you make a splash, check out the following links for water temperatures. 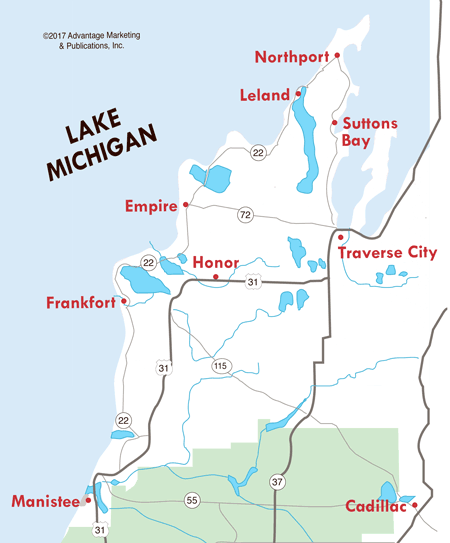 If Lake Michigan is still too chilly for your taste, head to the warmer inland waters of Manistee County lakes such as Bear Lake, Arcadia Lake, Manistee Lake, Portage Lake, Bar Lake and many others. Since they're smaller, they tend to warm more quickly than Lake Michigan. Manistee area beaches are some of the nicest and cleanest you'll find anywhere. You can choose whether or not to join the crowds at the highly populated spots---or find a private beach that's less busy. 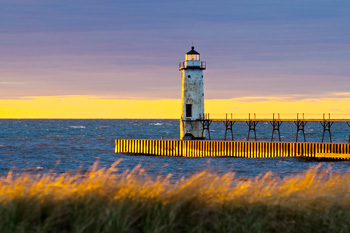 Sunning, swimming, or building that special sand castle--Manistee area beaches offer it all!